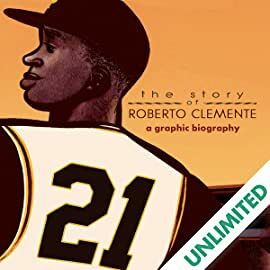 21 chronicles Roberto Clemente's life from his early days growing up in rural Puerto Rico, the highlights of his career (including the 1960s World Series where he helped the Pirates win its first victory in 33 years, and his 3000th hit in 1972 during the last official at-bat of his life) as well as his private life and public mission off the field. 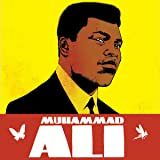 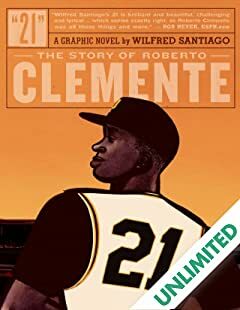 Wilfred Santiago captures the grit of Clemente's rise from his impoverished Puerto Rican childhood, to the majesty of his performance on the field, to his fundamental decency as a human being in a drawing style that combines realistic attention to detail and expressive cartooning. 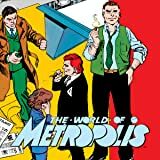 World of Metropolis moves the action away from Superman to concentrate on the other figures in Metropolis’ ongoing drama including Perry White and Lex Luthor!